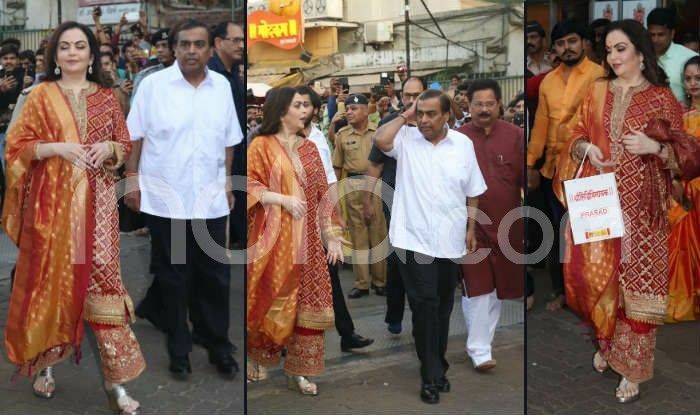 Here are the pictures of Nita Ambani and Mukesh Ambani visiting Siddhivinayak Temple. 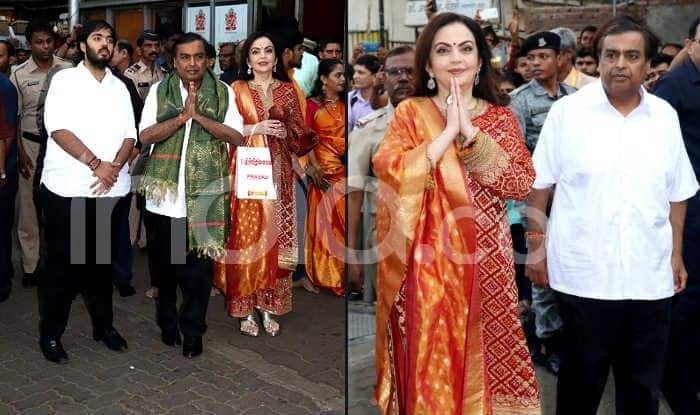 Industrialist Mukesh Ambani and his wife Nita Ambani were spotted outside famous Siddhivinayak temple in Mumbai earlier today, on February 11. 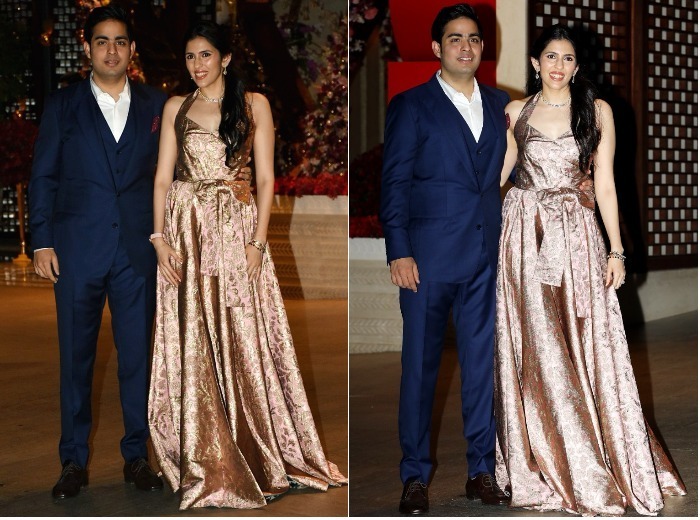 The two paid a visit to Lord Ganesha to offer Him the first wedding card of their son Akash Ambani and Shloka Mehta. 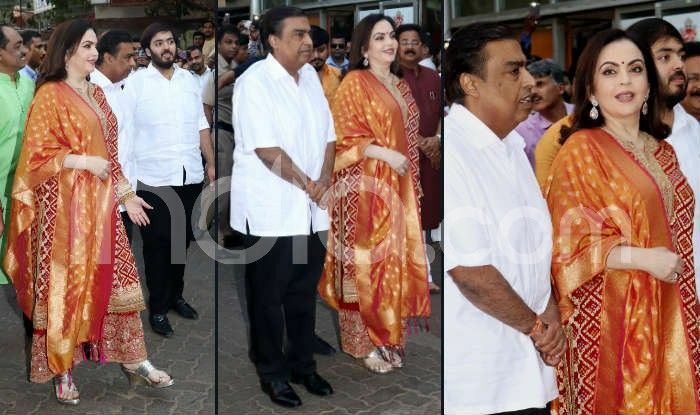 It was in December last year that their daughter, Isha Ambani got married to Anand Piramal in a big wedding at her home, Antilla, in Mumbai. As per some reports, Akash and Shloka are tying the knot on March 9. However, the groom is expected to throw a grand cocktail party for his friends in Switzerland on February 23 24, and 25. For those who aren’t aware, Akash and Shloka met in school and fell in love with each other. Shloka is the youngest daughter of diamond merchant Russell and Mona Mehta. She has studied with Akash at Dhiru Bhai Ambani International school in Mumbai.